Deep Green 10x13 Catalog Envelopes, Press & Seal, 10-Pack | Payday Loans USA - F.S.H. 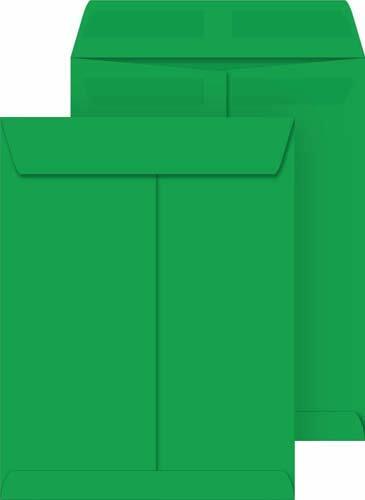 These Deep Green 10x13 catalog envelopes are made of smooth high quality 28lb paper. These envelopes come with a latex closure that just requires pressure to create a strong seal, no moistening or peeling required, just press and seal. Did you forget to enclose something in the envelope? Not a problem, just carefully lift the sealed flap, insert your document and close it again. The latex seal is also pressure sensitive. You can press lightly to create a nice temporary seal so it can be opened and closed easily multiple times, which is excellent for filing purposes, or you can press hard to create a strong seal that will endure the stresses of traveling through the postal system. Envelopes come in a variety of colors and quantities and custom printed options will soon be available. Press & Seal - no moistening or peeling required. Resealable - Latex Seal can be sealed and then carefully reopened and sealed again. Great for filing, or last-minute additions. If you have any questions about this product by Coordinated Systems & Supplies, contact us by completing and submitting the form below. If you are looking for a specif part number, please include it with your message.